Tropical cyclones usually do not form in the area of the Atlantic this time of year. The reason is that harsh upper air conditions do not allow for development. 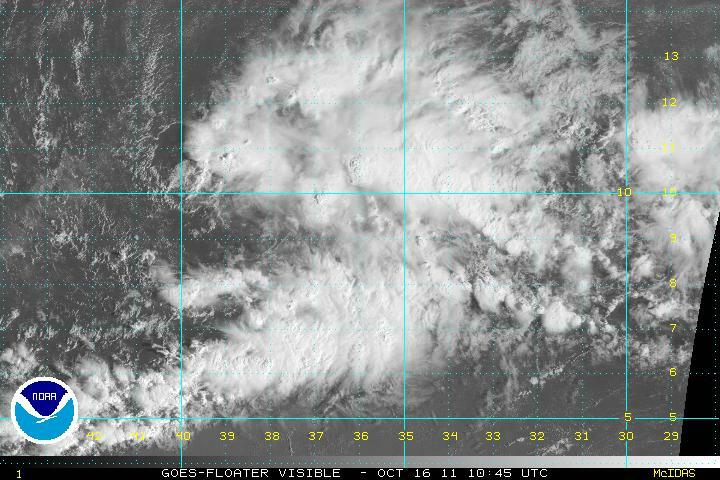 The tropical disturbance is in the area that Cape Verde systems usually form in later August or the first half of September. 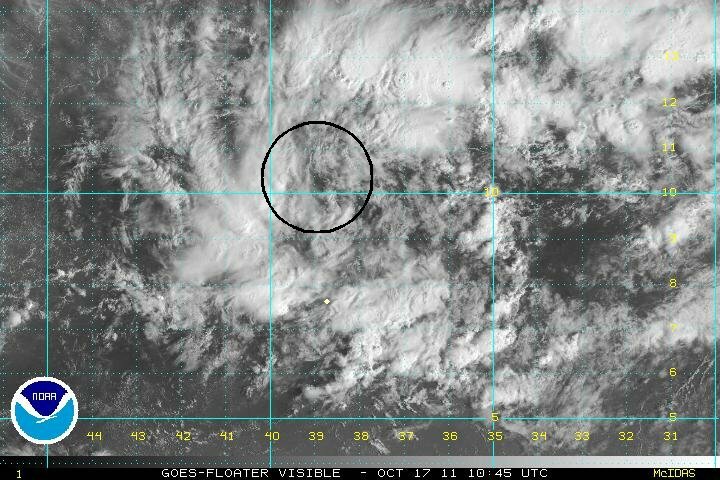 The disturbance has a circulation, but still appears weak. Convection is noted, especially on the east side. 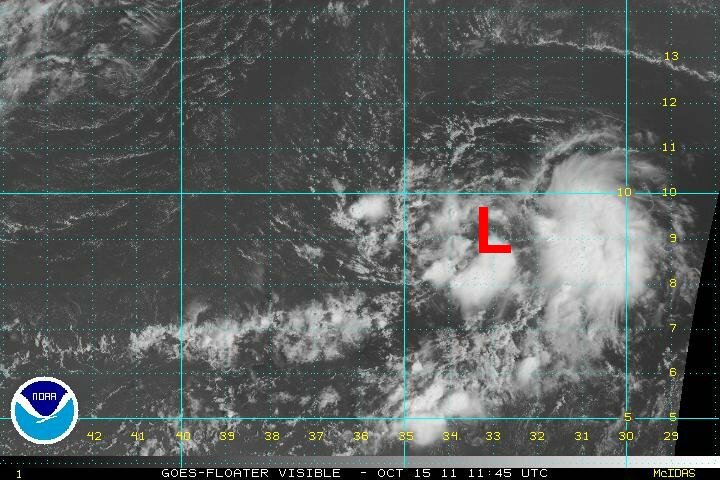 If the circulation improves in organization it will be upgraded to a tropical depression. At 9 am edt / ast the tropical disturbance was centered at 9.3 N / 33.0 W or roughtly 700 miles sw of the Cape Verde Islands / 1750 miles ese of Barbados. Top sustained winds are estimated at 20 mph. Movement: west 7 mph. Pressure estimated at 1008 mb. Early forecast models are not very aware that a tropical disturbance even exists! Typically this time of year, tropical cyclones will recurve well east of the lesser antilles with a system like this. The tropical disturbance continues west in a disorganzied state. Deep convection has increased, but there is no sign that the low level circulation is improving. At 9 am edt / ast the tropical disturbance was centered at 9.5 N / 38.5 W or roughly 1400 miles ese of Barbados. Top sustained winds are estimated at 20 mph. Movement: west 15 mph. Pressure estimated at 1008 mb. The tropical disturbance continues west northwest in a disorganzied state. Deep convection has built around the center of the weak circulation. The circulation remains too weak to classify this as a tropical depression. At 7 am edt / ast the tropical disturbance was centered at 10.2 N / 39.0 W or a little less than 1400 miles ese of Barbados. Top sustained winds are estimated at 20 mph. Movement: wnw 15 mph. Pressure estimated at 1008 mb. Forecast models are not very aware that a tropical disturbance even exists. Typically this time of year, tropical cyclones will recurve well east of the lesser antilles with a system like this.